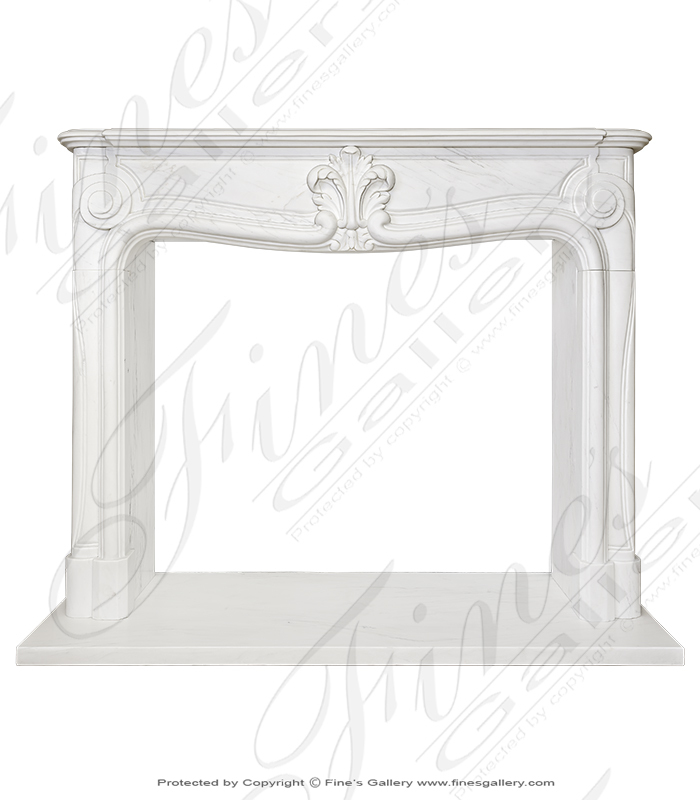 A pristine pure white french style marble fireplace simple and elegant in style. All hand carved from natural solid light white marble with light gray veins. International delivery available, free shipping in continental United States. Huge US Showroom! 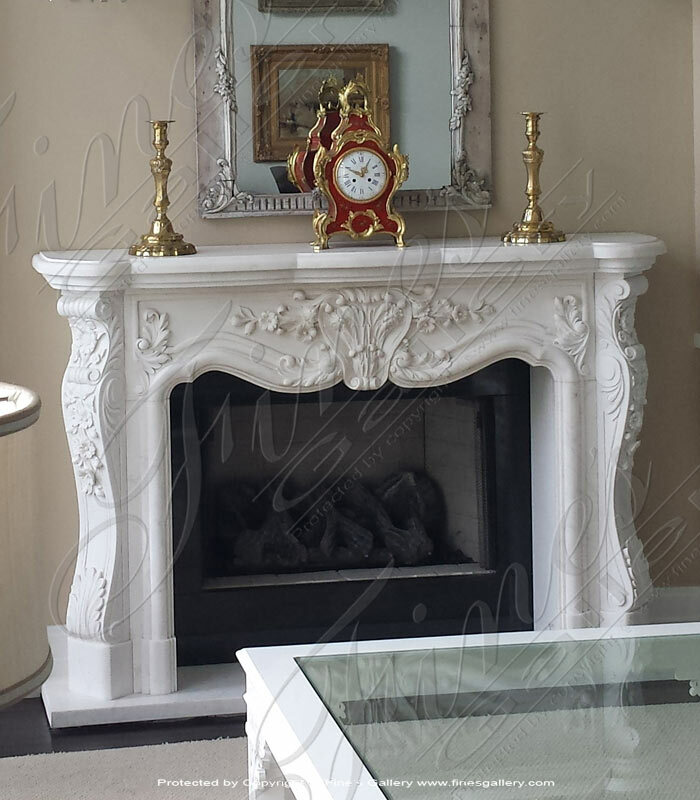 Louise XVI Mantel Extra White Superior Surround hand carved by our master craftsman. Available in the pure white as shown or go with any one of our many hand picked italian marble options! Visit our massive showroom in South FL! International Shipping! 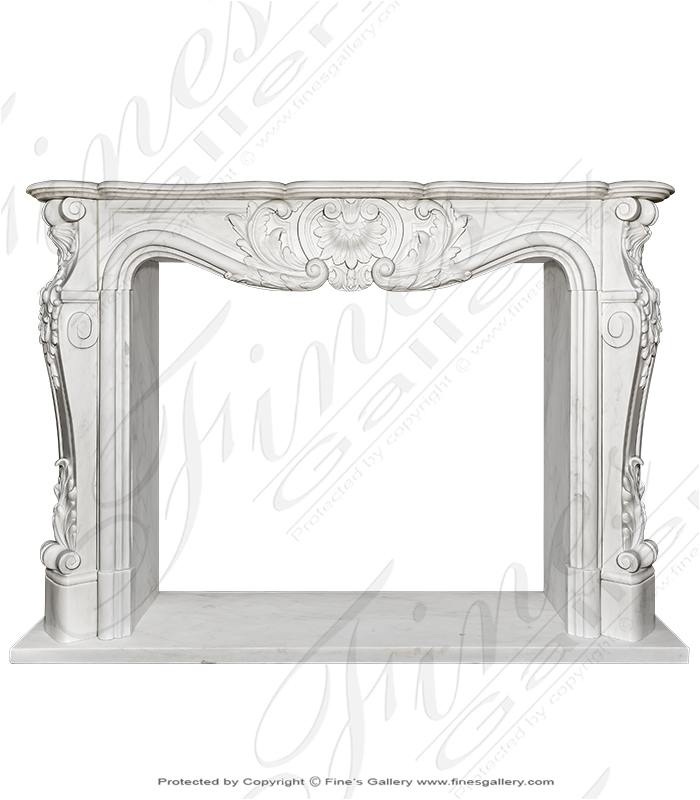 Inspired by classic French Rococo beauty, this exquisite fireplace is sculpted from pure white marble. Adorning the elegant curves of its sides and frieze is a picturesque feast of shell, floral, and leaf decor. 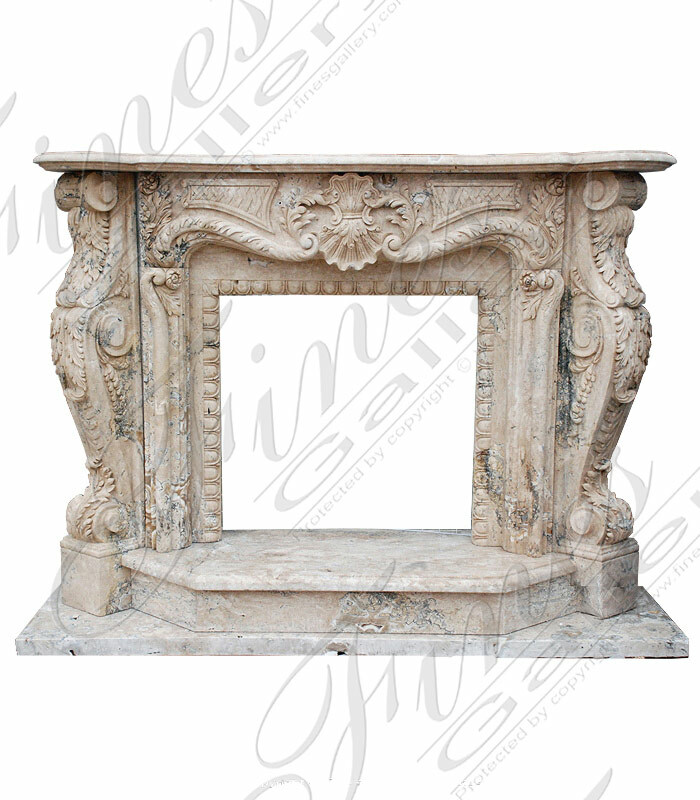 This sophisticated French styled mantelpiece is decorated with ornate carvings of flowers, scrolls, and classic acanthus to leave a lasting impression of elegance. Beautiful white marble is the perfect display for the rich artistic detail. Marble is the one of the finest materials for home furnishing, transforming regular interiors into breathtaking scenes of incomparable beauty. 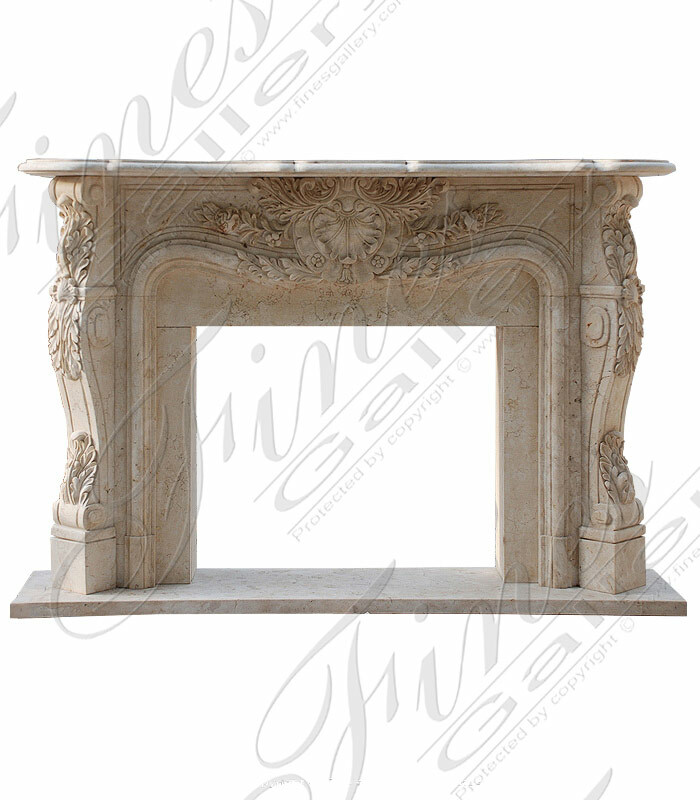 This fireplace design is stunning with its hand carved leaf decor and pure marble frame in soft neutrals. 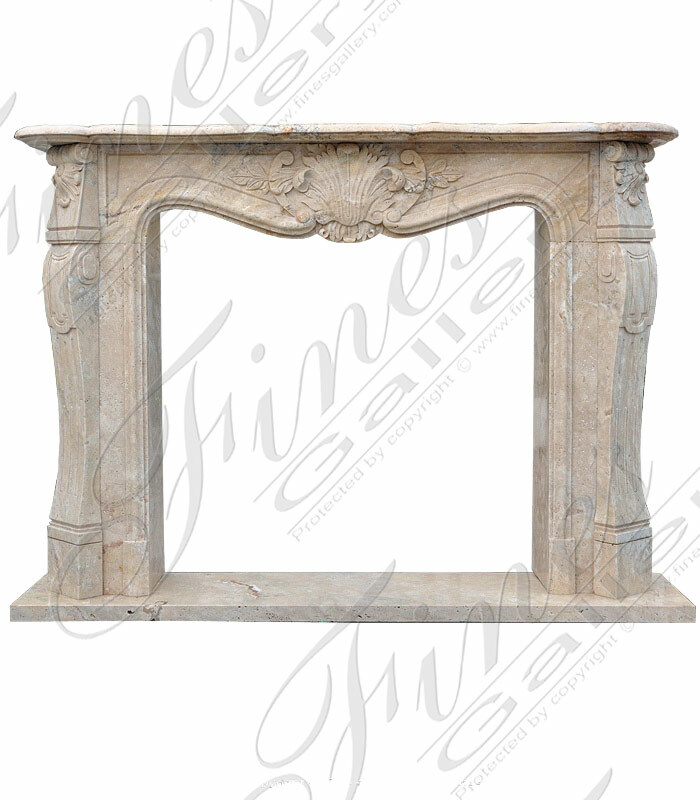 A Superb Louise XV French Style Marble Fireplace with Ornate Fascia. This hand carved work of art is ornately decorated with heavy relief detail throughout the frieze. 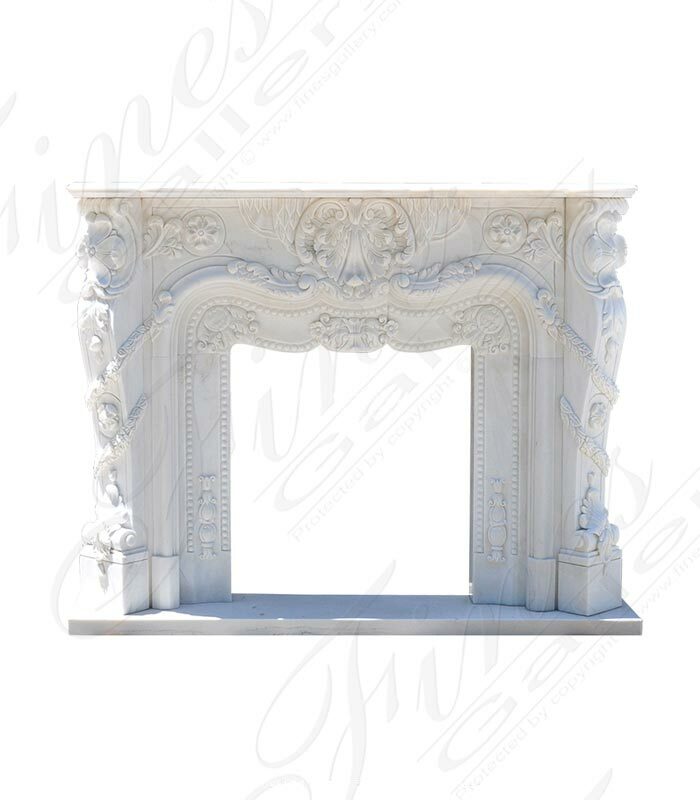 A curved opening distinctively found in rococo french style mantels. 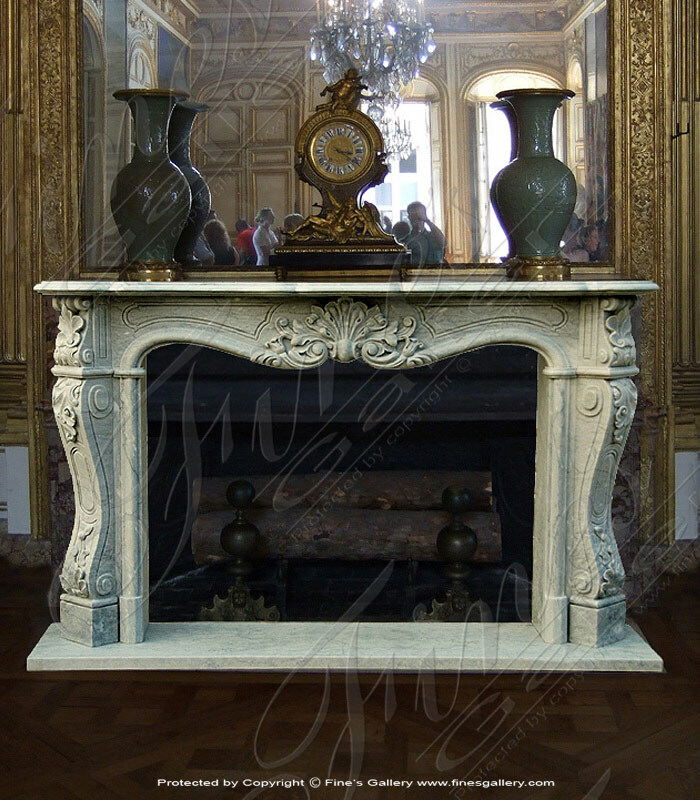 French Countryside Marble Fireplace. 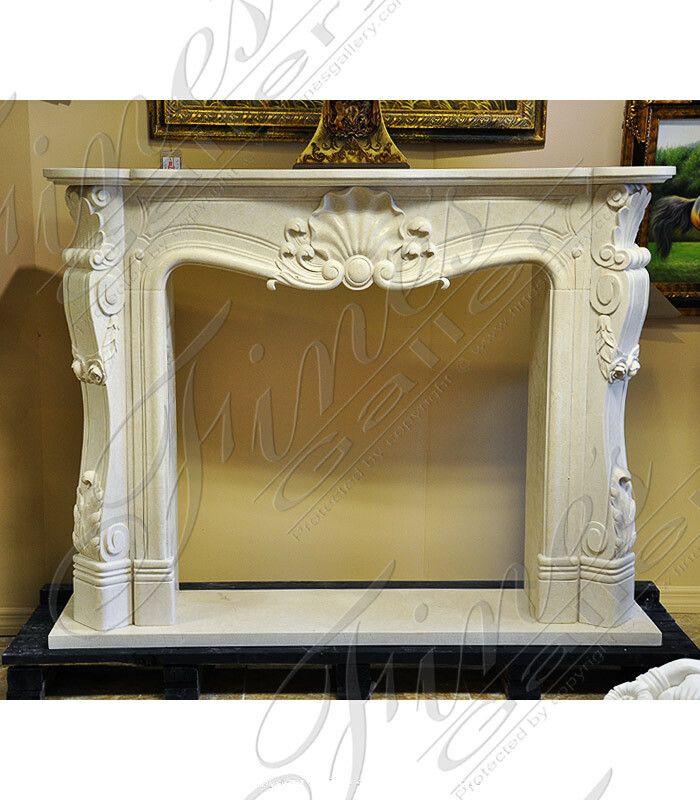 This elegant cream fireplace is hand carved in great detail from a light cream marble. Available to be installed with or without the additional marble panels which adjust according to your insert opening size. 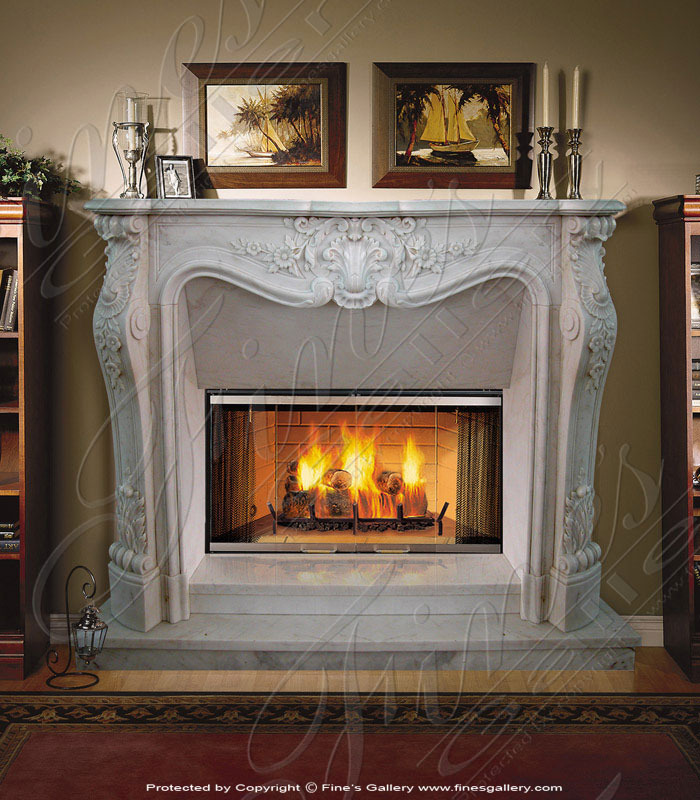 Fine beveled edges slope majestically around the firebox opening, while delicate floral and shell elements add to the elegance of this piece. 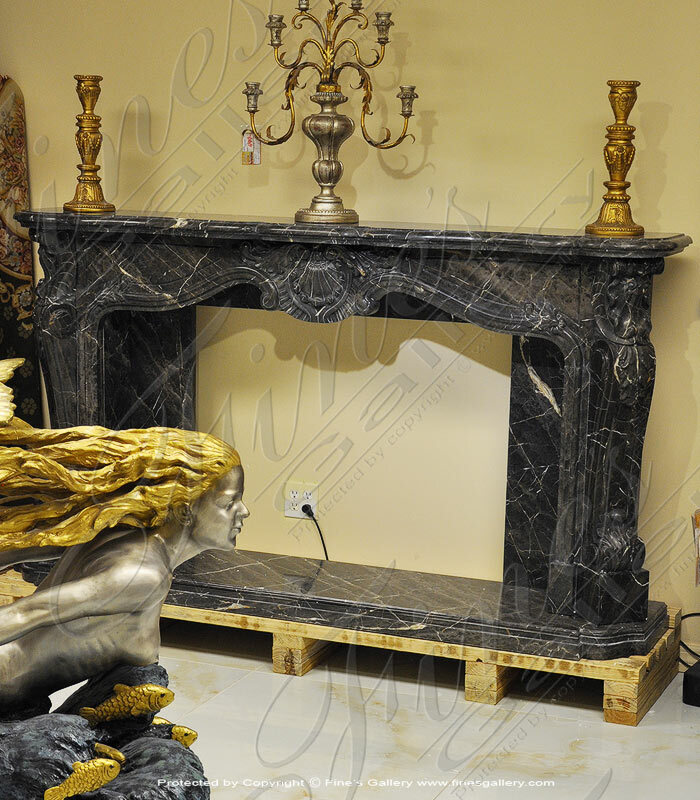 This marble fireplace is created from a light cream marble to add unforgettable luxury decor. Rustic and natural, this fine European marble is stunning with a beige background and hints of warm tones. Delicate line artistry curves about the frieze and down the matching side columns. Enjoy the charms of marble that never fade. 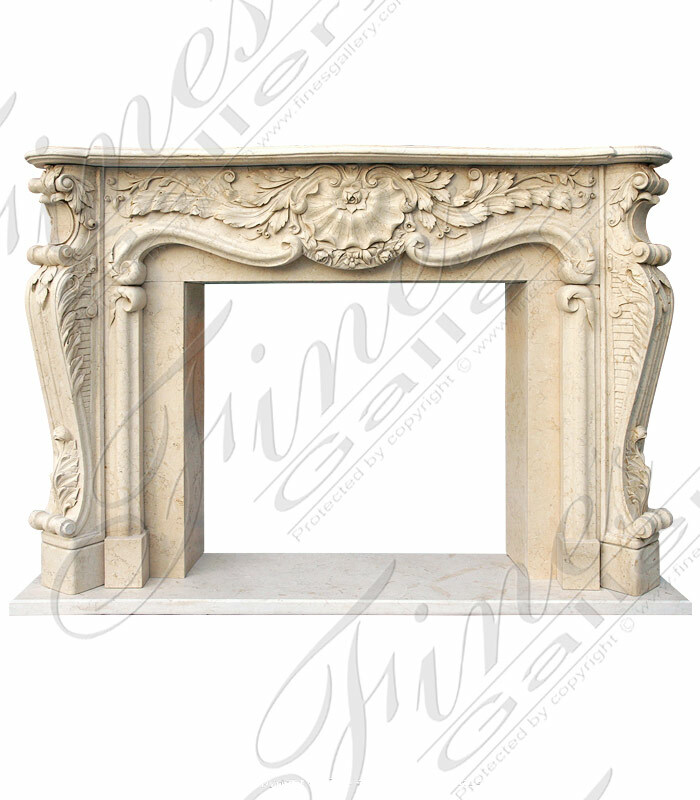 Beautiful botanical artistry is hand carved throughout the surface of this spectacular fireplace design. 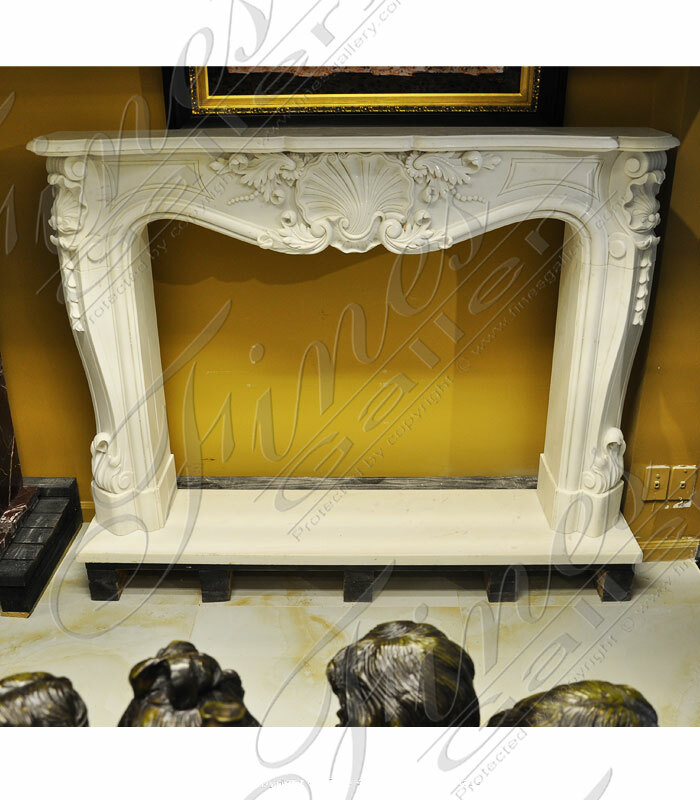 Made from fine marble in beige tones, this fireplace surround can be customized in personal size dimensions to fit your decorating needs. 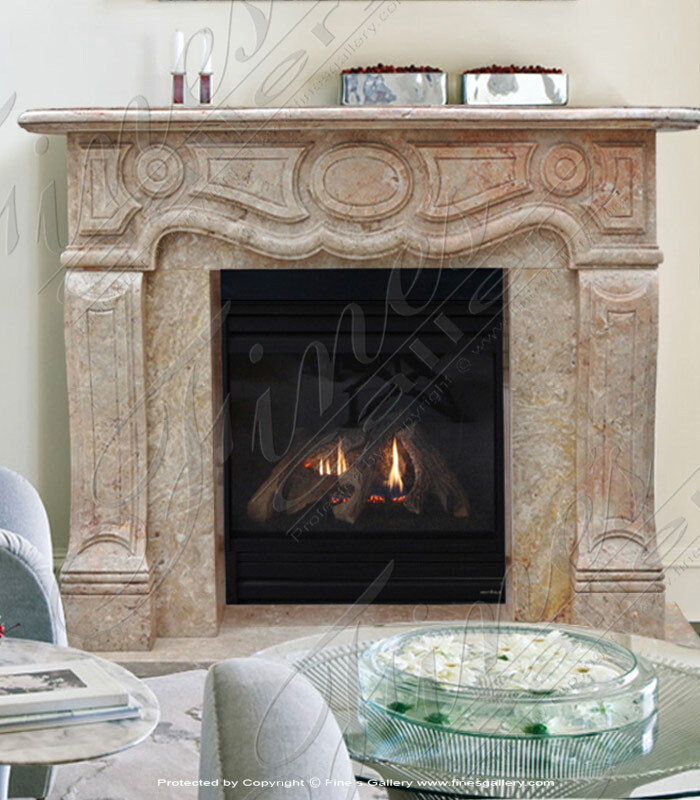 This sophisticated marble mantel is decorated with a delicate pattern of nature-themed artwork. Gorgeous light-toned marble shows off every ornate detail of its French-style design. This treasure will add elegance to your home decor. 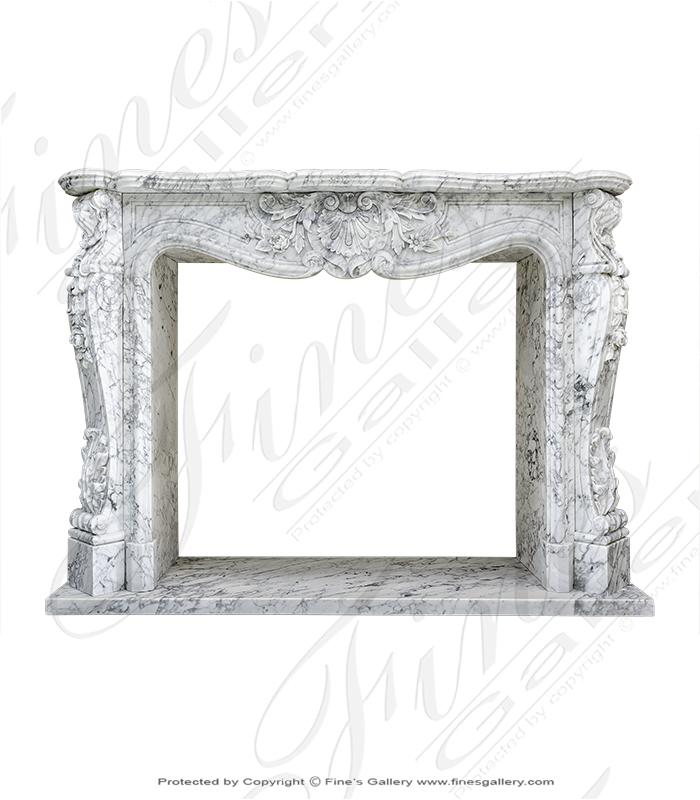 With its ornate floral and shell decor and sophisticated design, this gorgeous fireplace mantel is a masterpiece straight out of the French Rococo period. 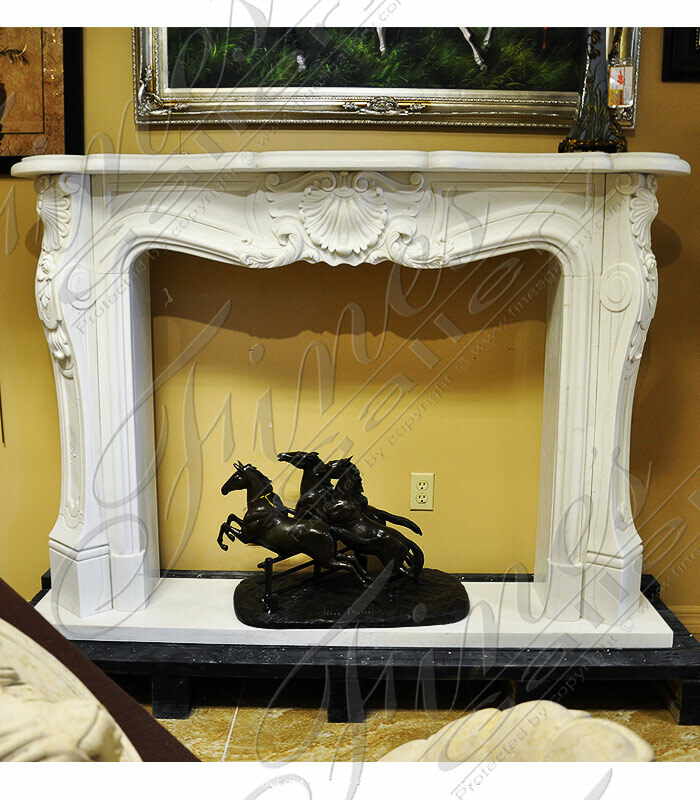 Carved in fine white marble, you will cherish the beauty this piece adds to your intimate decor.